It is a bit bizarre that I am posting these photos of myself wearing a sweater when it has been incredibly hot the past few days! I snapped these shots last week during a gloomy evening walk but now they feel so out of place! 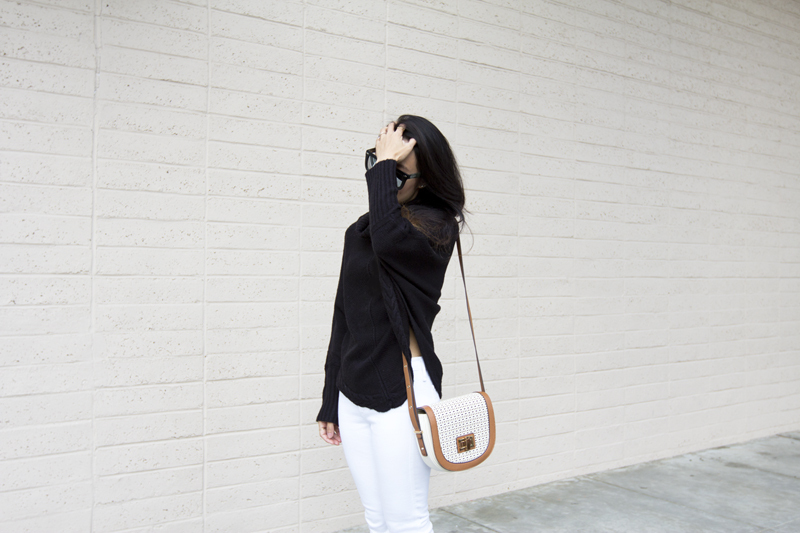 Oh well, still a nice simple look so here goes... For a long long time, I was afraid of jeans, let alone white jeans. I thought they made me shorter than I already am or they are simply just uncomfortable, that is, until I found McGuire Denim (or more accurately McGuire Denim found me). I have been wearing these white Carmina skinnies so much that I think they are due for a wash! Not to mention how great they look with my cute new purse from DSW and these amazing strappy slide sandals which I also can't stop wearing! Strappy slide sandals c/o Prima donna. 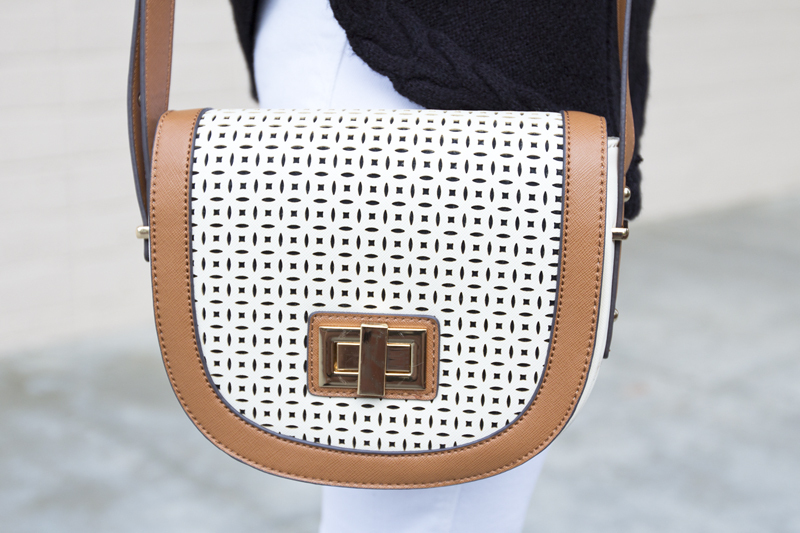 Perforated two tone handbag from DSW. Such a nice outfit! 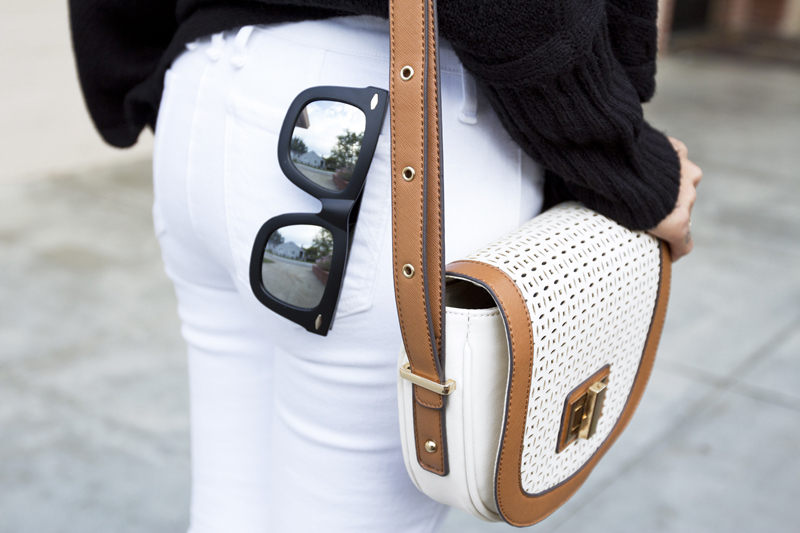 Love the sandals and the sunnies! Love this look, the neutral color palette is great and I'm so loving those shoes!